Lauren Miller was named one of this year’s recipients of the Academic Excellence Award, representing the College of Liberal Arts. Graduating in only three years and on the Dean’s List every quarter she was here, Lauren is an exemplary student. An intelligent and careful reader, thoughtful synthesizer of ideas, meticulous and thorough researcher, superb writer, and empathic listener, Lauren excelled in the classroom. 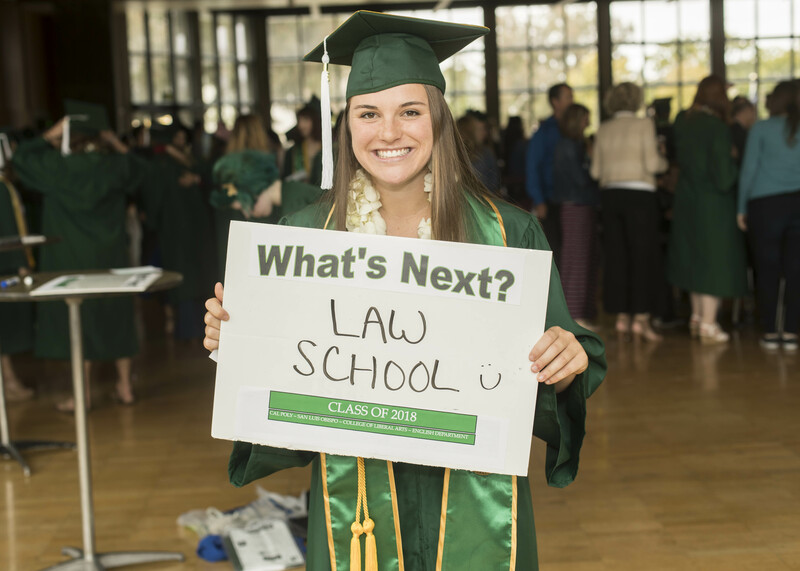 After taking a gap year, Lauren plans to attend law school. Rebecca Gates took full advantage of her education as an English major. In the summer of 2017 she studied at Cambridge University, and she tutored at the University Writing and Rhetoric Center for two years. She also earned a certificate in Technical and Professional Communication. 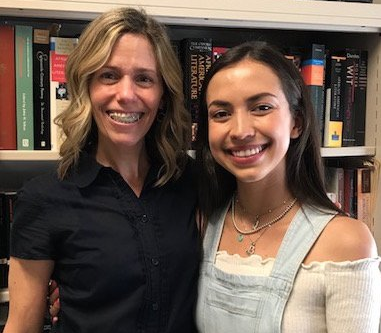 She put her knowledge to good use by serving as one of two co-editors of the literary journal Byzantium and as one of two PR interns for the English Department (you can read some of her work in this newsletter!). For her history minor, she also completed a curatorial internship at the San Luis Obispo Museum of Art. Before coming to Cal Poly, Daniel Reno served in the United States Army in Afghanistan—and we are grateful for his service. At Cal Poly, he not only excelled in his graduate coursework, but also worked as a Graduate Teaching Associate for the 2017-18 academic year and was awarded a Graduate Assistantship by the Office of Graduate Education. 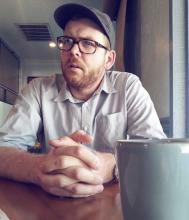 Upon graduation he will continue his studies at the University of Nevada, Reno, where he has received full funding to pursue a Ph.D. in rhetoric and composition as well as a teaching assistantship in the Department of English. 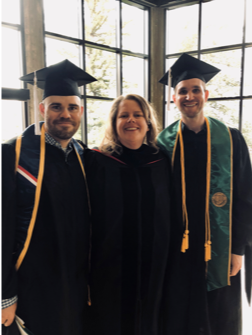 At the English Department’s spring commencement ceremony, the composition program awarded Blaine Malcolm and Dan Reno with the English Department’s Graduate Teaching Associate Award for Excellence in Teaching. They both received $200 and a certificate of achievement. 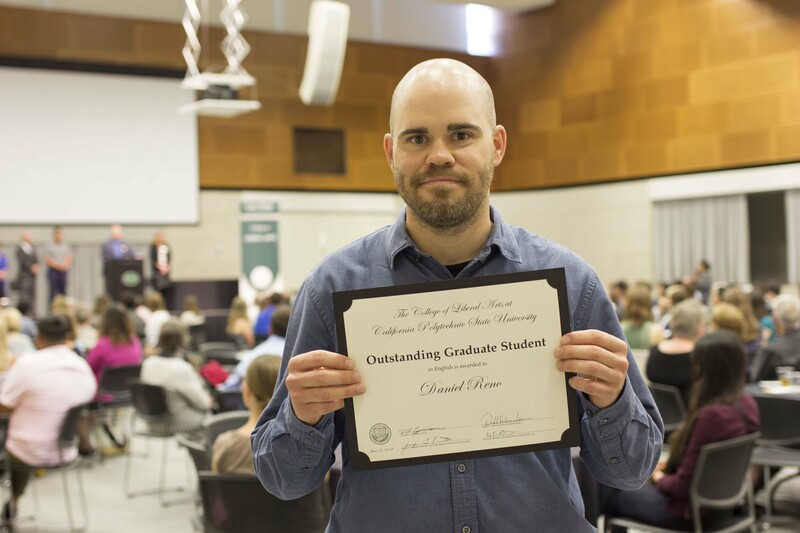 Both Blaine and Dan were also awarded the English Graduate Program Award for Outstanding Student. 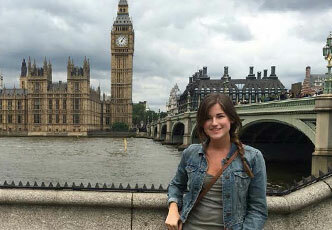 The English Department is pleased to announce the recipient of the 2018 Dorothy Cooper Memorial Scholarship for study abroad. English major Cole Tretheway received a $1000 scholarship to help support his study abroad experience in London this summer. Named for the grandmother of a Cal Poly English major alumna, the Dorothy Cooper Memorial Scholarship provides financial assistance to Cal Poly English majors and minors participating in study abroad programs. Cooper believed in the promise of travel to learn about new cultures and people, and this scholarship is designed to support students who might not otherwise be able to travel. 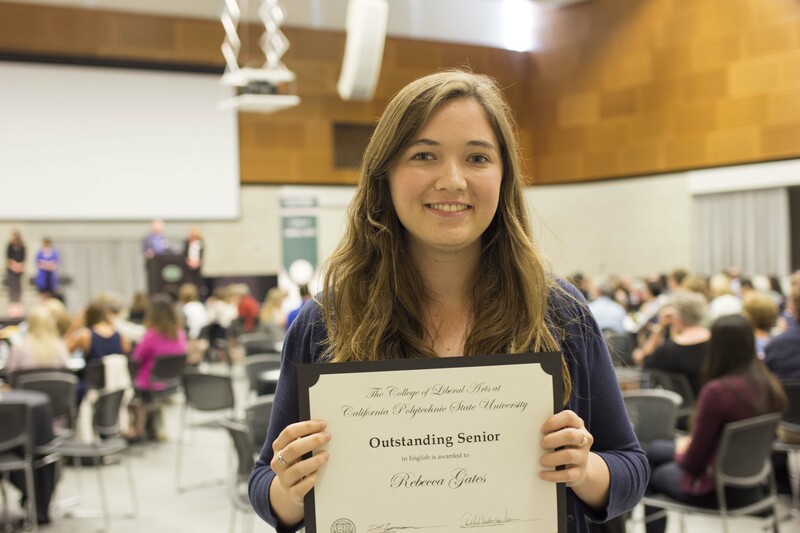 Collaboratively administered by the English Department and the Cal Poly International Center, each scholarship is $1,000. This award, created by former English Department Chair and College of Liberal Arts Dean Linda Halisky, recognizes an English major whose passion for literature is palpable. The $750 prize is awarded to an English major who exhibits an interest in literature and language — someone who is “lit up” by literature. This year’s recipient is Taylor Moreno. In her short essay, Taylor writes about John Donne’s 17th-century poem “No Man is an Island.” She writes that the text “changed my life, pulled me out of Plato’s Cave, and made me realize what a great responsibility it is to be human... This work of literature from the past has inspired me to ‘rise early’ and seek out opportunities where I can affect positive change in the future.” Her essay demonstrates that she understands the power of literature and its ability to help us understand the human condition. 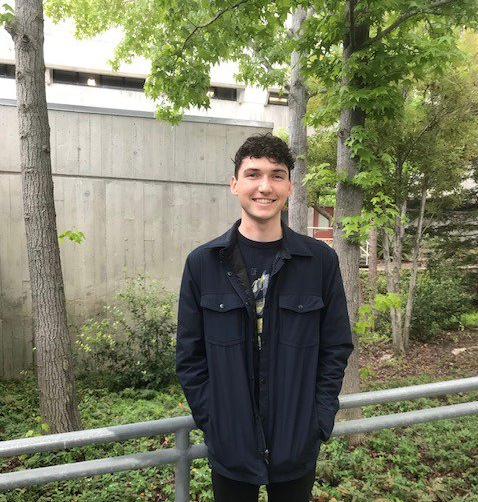 English major Morgan Condict has won Cal Poly’s Academy of American Poets Contest for his poem “To an Old Coworker,” which investigates the homelessness crisis in San Francisco through a compelling, personal perspective. He received a $100 award from the Academy. See all the excited faces of our spring 2018 English Department graduates in the spring graduation photo gallery!